Some cars are just way ahead of their time. That can lead to financial disasters, but also create the best vehicles ever made. The following ten definitely came from the future. The 1996 EV1 was the first mass-produced and purpose-designed electric vehicle of the modern era from a major automaker, the first GM car designed to be an electric vehicle from the outset along with being the first and only passenger car to be sold under the corporate General Motors name instead of being branded under one of its divisions. 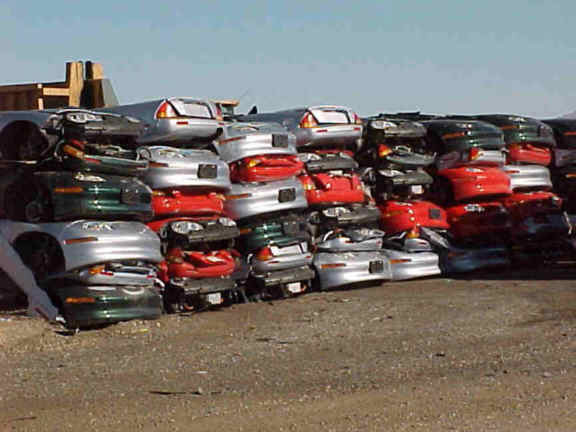 GM leased it to people, then cancelled the program in 2002, only to repossess all cars and crush most of them. About 40 survived, but with their electric powertrains deactivated so that they could never be used again on public roads. GM made a green car, then killed it, only to get as much bad publicity out of this experiment as possible. I still prefer the Saab alternative. The GM EV1 seemed pretty futuristic to me. The Jensen FF was a luxurious grand turismo, and the first proper road car with four-wheel drive and anti-lock brakes. In 1966. It was followed by the first four-wheel drive Subaru in 1971, but the technology only went mainstream in 1980 with the introduction of the Audi Quattro. The Jensen FF...because 4WD and Anti-lock-brakes in a roadcar for the very first time! Honestly, being the fastest in the world is hardly the point. It's was way ahead of its time in 2004 because you could push that quad-turbo W16 above 253 mph without it ever blowing up. And again, and again, eating away some very expensive tires in the process. And with 1,200 reliable horsepower on tap, the Super Sport still is way ahead. It sort of has to be the Veyron. Many tried to build turbine cars in the early sixties including GM, Fiat and Rover, but Chrysler actually gave this beautiful Ghia bodied wonder to the people for testing. Forgotten Cars: Hey, Rover Made Turbine Cars, Too! It sort of worked, but the fuel economy wasn't that great, and most ended up in the crusher just like the EV1s a few decades later. This guy managed to get a saved one, and has a story to tell. The Chrysler Turbine Car, because gas turbine engine! 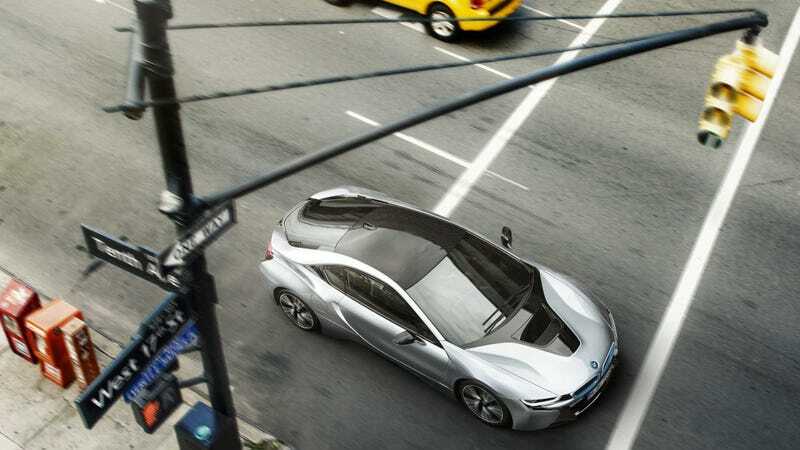 The XL1 is futuristic because of the idea that such a car can be a product. Or can it? I don&apos;t know how it could be anything else, honestly. Front-wheel drive, the four disc brakes inboard for lower unsprung weight and the semi-automatic transmission gave this car the Car of the Year award in 1968. The design of the car set the tone for family cars decades in the future. It's unreliable and highly complex Wankel engine on the other hand made the company bankrupt and merge into what is known today as Audi. Preston Tucker's innovative safety features such as the rotating third headlamp, the early safety cell, the integrated roll bar and the advanced ergonomics made the Big Three so scared that they pretty much made it impossible for him to succeed. The Torpedo even had fuel injected flat-six hemi. In 1947. Apart from being Boris Becker's first car, the 959 is famous for being the most complex car in the universe. The new 918 Spyder continues where the 959 left off. The P1 needs 2.8 seconds to 62 mph, does 28 mpg. Any more questions? We&apos;re as close to the future as we&apos;ll ever get RIGHT NOW!!! Apart from its engine that was slightly old-fashioned due to cost reasons, the DS was and still is the closest thing to floating on top of a cloud. It's wonderful.